Is it possible to see any photos of it ingame or is it not implemented ingame yet? here is some more in game stuff. 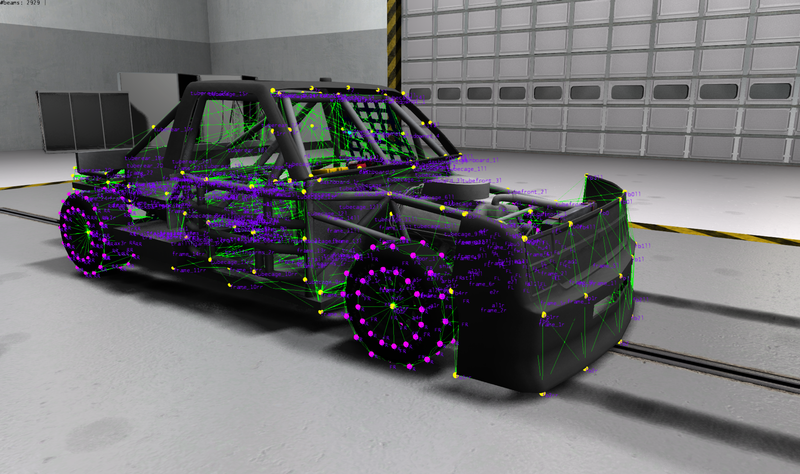 work has begun on implementing the bodywork into the game. Thanks! That looks super cool. So your main focus is adding more body parts in game, but what else needs to be added? Skinning? Other more detailed parts? Custom sound? At the moment the focus is on getting the 3 different body variations into the game. Beautiful work! Since the body panels are all separate pieces, do you expect they will detach themselves under the right crash circumstances? good progress, still waiting patiently watching all this madness occur lol. I sure hope this mod will turn out the way you have intended it to be unlike the late model.